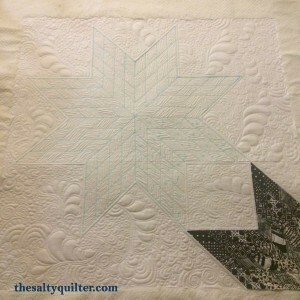 Quilts, crafts, salty rants and swears. 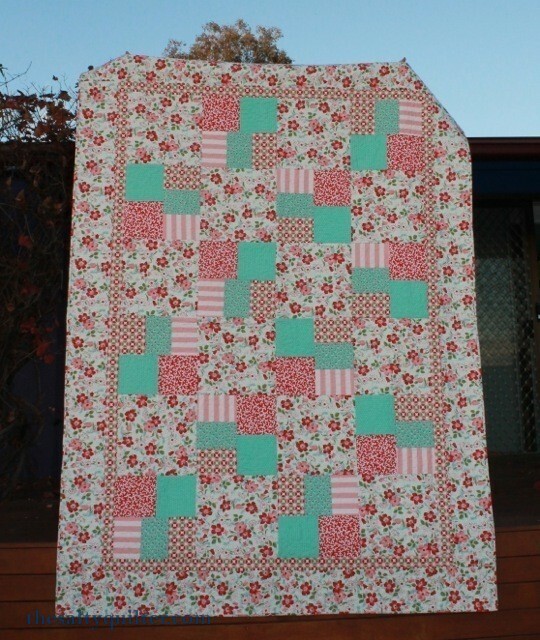 The Canberra Modern Quilt Guild sponsored a challenge for our display at the Canberra Craft and Quilt Fair in August 2015. 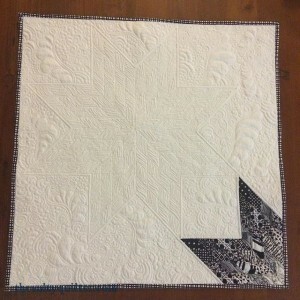 The theme was a monochrome (black, white and gray) “Modern Traditional” mini quilt 24″ square. 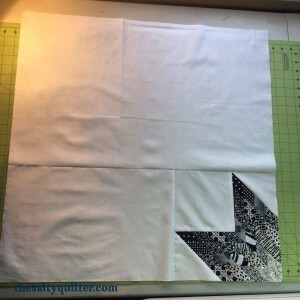 I used QuiltSmart’s Little Lone Star fusible interfacing to make scrappy gradient lone star blades. 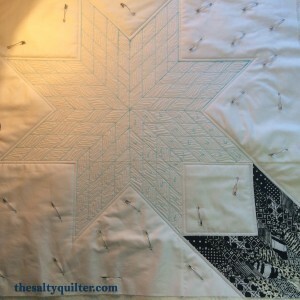 I drew a full star out using the Clover water erasable pen. 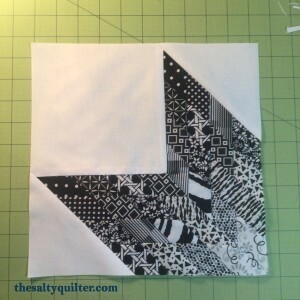 I used two layers of bleached cotton batting. 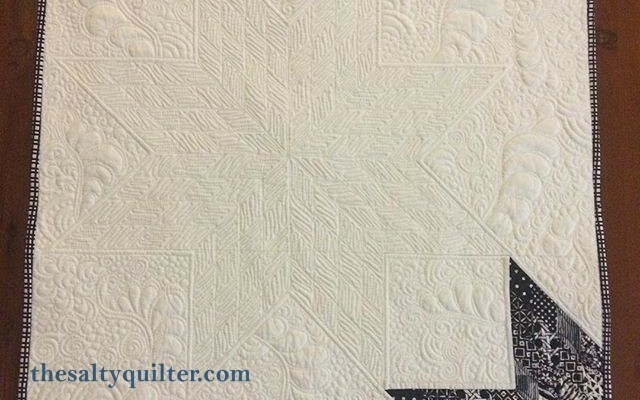 The basket weave fill is based on Margaret Solomon Gunn’s grid based fills article in Machine Quilting Unlimited July 2015. 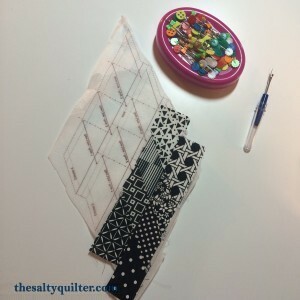 White/black Gutterman 50 wt cotton thread and dove gray Rasant cotton poly thread for basket weave fill. 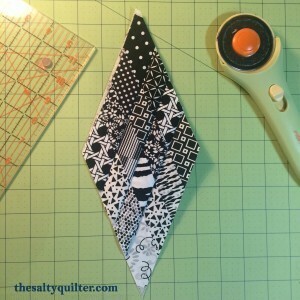 Interfacing used to make the star blade. 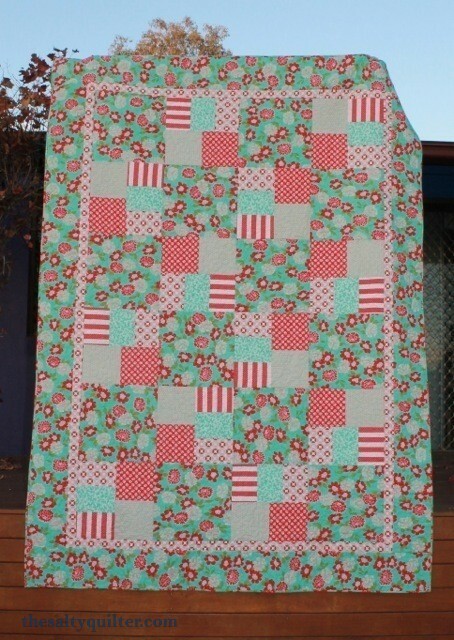 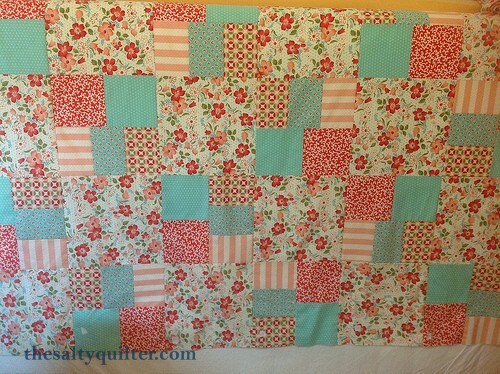 Straight line quilting done on star. 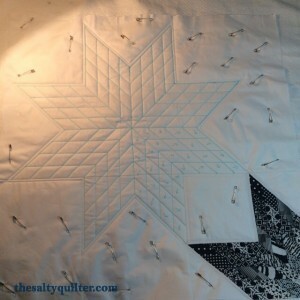 Basket weave fill in star. 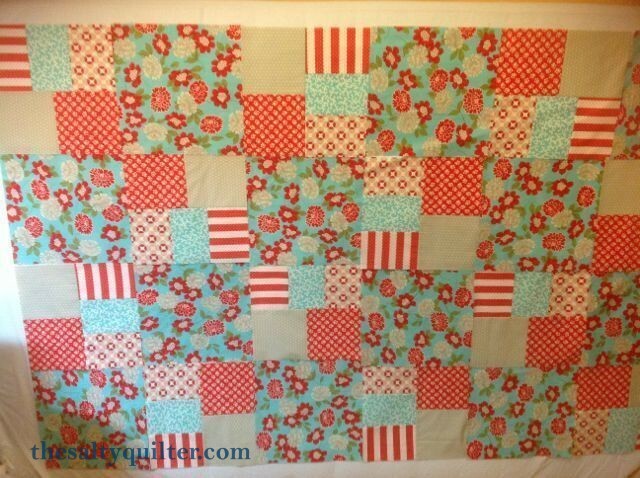 For a co-worker’s daughter. 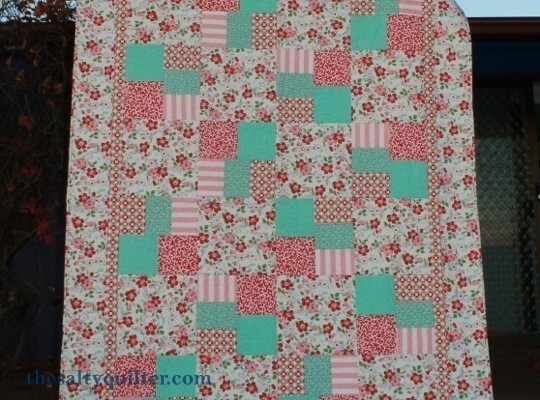 Also making another in different fabrics from this line for her other daughter. 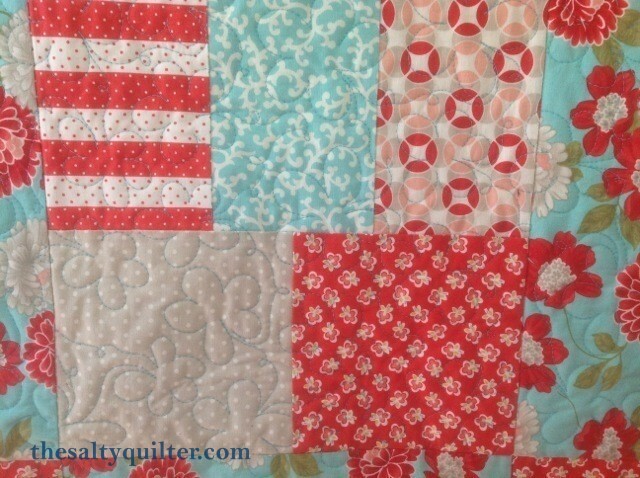 Daisy flower quilting design. 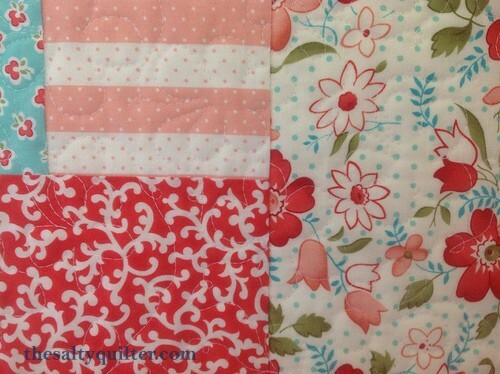 50wt Rasant cotton wrapped poly thread. 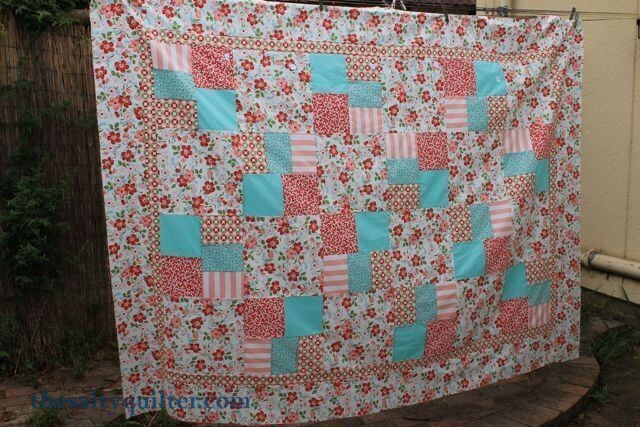 Second of the two quilts for my co-workers daughters. 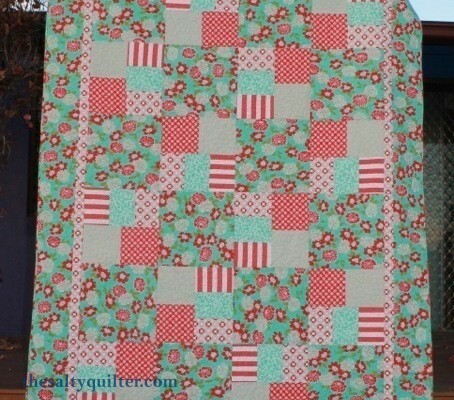 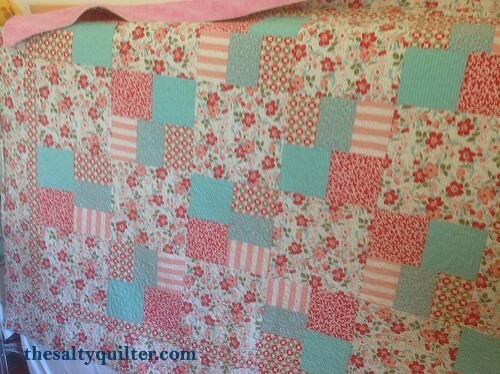 Quilted in all over flower pattern. 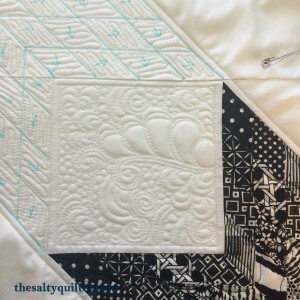 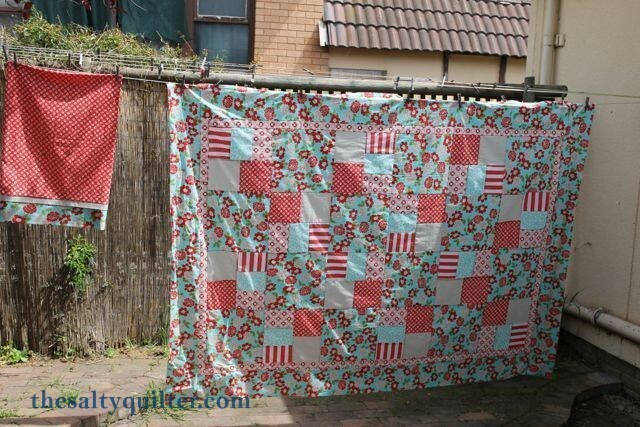 These quilts were way too much work, but they did help me to learn how to deal with the bulk while free motion quilting on my domestic machine.